Bringing music fans to their feet for more than three decades, Sylvain Cossette is regarded as a true performer, giving everything he’s got every time he hits the stage – just like the players on his favorite NHL team, the Montreal Canadiens. 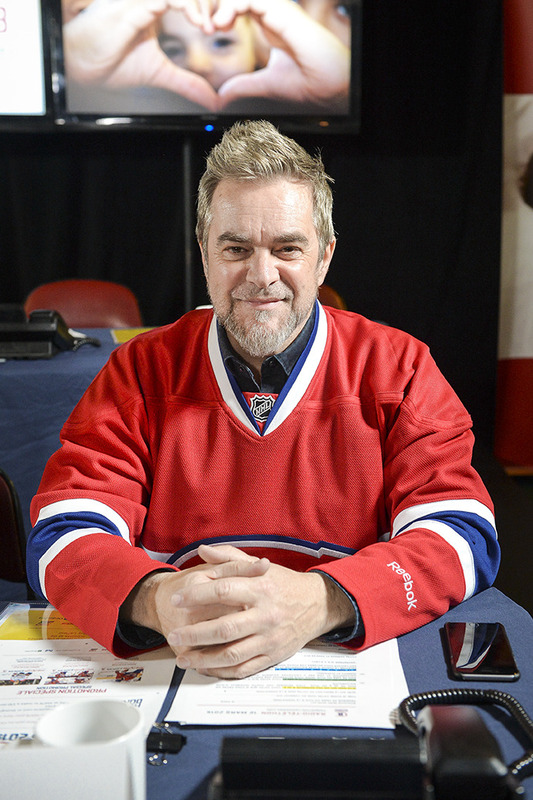 A devout fan since childhood who witnessed some of the most memorable moments in team history, we caught up with one of the finest singers in Quebec to learn more about his love for the CH. SYLVAIN COSSETTE: I think I’ve been a fan since I was five years old. I’m over 50 now. I’ll let you do the math. (laughs) I love hockey and I love the Canadiens. I’m a big fan. Sometimes, when I’m watching a game, I pay zero attention to the other team. I forget about them. I watch our guys, the way they play, the way they go about their business. I’m a die-hard fan. What’s your favorite Canadiens moment? SC: It’s funny because all of my best memories are tied to one player, Guy Lafleur. I remember being at home and watching hockey. When Guy Lafleur jumped on the ice, I got goosebumps. There was electricity in the air. You had a feeling that he was almost connected to you through the TV. I’ve experienced a few Stanley Cup wins in my life, too. I know what those dynasty years are all about. At the time, it was a given that we were going to win it all. Then, I experienced the Stanley Cup win in 1993. 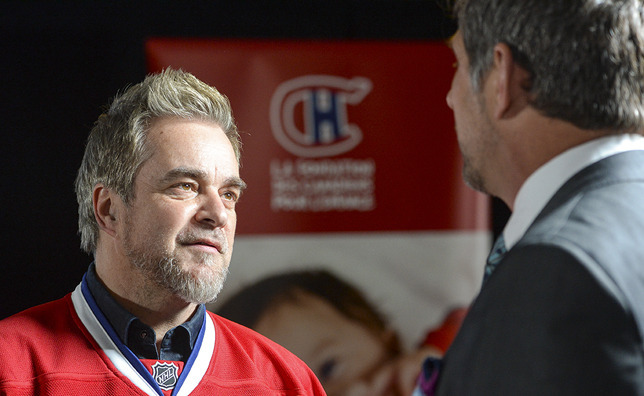 Pierre Gervais [the Canadiens’ equipment manager] is a good friend of mine. Back then, I hurt my knee and the team’s athletic therapists invited me over to get treatment. During games or practices, I was training with Stephan Lebeau, Rob Ramage or Gary Leeman, who were all injured. In a roundabout way, that’s how I experienced the playoffs. I really felt the vibe. SC: I played up until I reached Midget. Then, I pretty much played house league hockey. I played with the guys from RDS like Gaston Therrien. I was pretty good, but I didn’t really have the game to play competitively. In life, I really just compete against myself. Going up against other people doesn’t really interest me as much. Were you ever mistaken for Guy Lafleur? SC: No, I’m more of a Steve Shutt kind of guy. I wasn’t the guy who’d carry the puck up the ice. I was the one who waited for a pass. Given your busy schedule, is it tough to keep up with latest Canadiens news? SC: I don’t miss a single game. During my shows, there’s always someone keeping me up to date on the score. The show gets going at 8 p.m., so I’ve got enough time to watch the first period on Saturday nights and then focus entirely on my work. After that, I head back to my dressing room and find out what’s going on. Later in the show, my daughter joins me on stage and whispers the score to me. Then, I tell everybody in the audience. You aren’t the first person we’ve spoken to who doesn’t shy away from sharing the score with his fans. SC: I actually have a good story about that. If you go into Pierre Gervais’ office, there’s a photograph of me doing a show. I framed it for him. I was doing a show with the Montreal Symphony Orchestra in Montreal in front of 2,800 people. The Canadiens beat the Boston Bruins in the playoffs. I went out to do my encore with a Canadiens jersey on. It was at Place des Arts. I had a tie on and everything. I take it pretty seriously. If we gave you the opportunity to sing the Canadiens goal song, what would it be? SC: 'We Are The Champions' - It’s the best song in all of sports. It’s the ultimate signature song. Who’s your favorite Canadiens player? SC: I really like a guy like Tomas Plekanec. It’s funny because this past season a lot of fans were talking about a possible trade. I told them that they were crazy. He’s one of the guys we absolutely need in the fold. If you take him out, something is definitely missing. He’s the type of guy that I like. I played a little bit like that years back. I came across Guy Carbonneau, who was my childhood idol, and I find that Plekanec plays the game a lot like him. You’re used to performing in front of crowds, but to what extent do you think it would be intimidating to hit the ice at the Bell Centre? SC: It would take me about 10-15 minutes to get comfortable. After that, I’d be o.k. I’m someone who thrives under pressure. Some people buckle under it. It’s always made me perform. I’m convinced that if I was an athlete and a crowd came out to see me, I’d use it to my advantage. Did you ever sing national anthems? And, if so, just how nerve-racking is it? SC: I’ve done it quite a bit, actually. The biggest fear anyone who sings national anthems has is messing up the words. That’s the type of thing that can happen. Your voice gets lost a bit at the Bell Centre because of the acoustics. You need to be really focused. You might sing national anthems often, but that fear is always there. I’ve got a trick, though, and I’ll tell you what it is. Years back, the anthem lyrics were projected in the corner of the rink. When I sang the American anthem, it looked like I was looking directly at the visiting team, but in reality I was looking at the lyrics. Then, I’d turn around and sing 'O Canada' looking straight up. That was my trick.